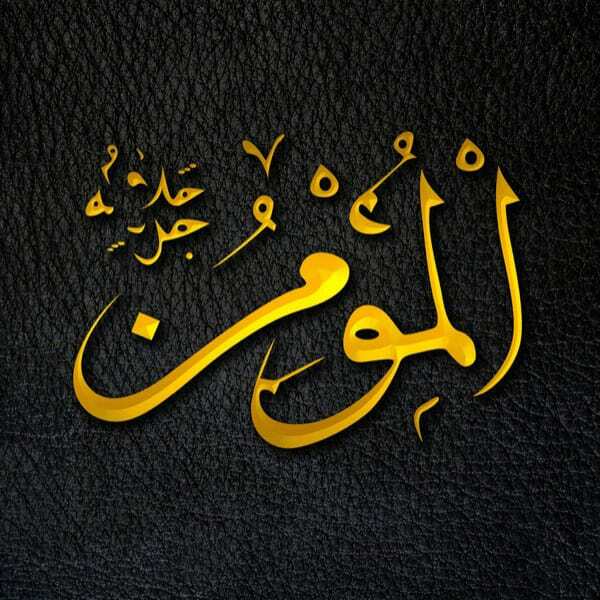 This Name of God Almighty, when realized, is beautiful and can do much to strengthen our hearts. Mu’min comes from the root a-m-n, which can mean to be secure, safe, free from fear and also to believe in. As human beings, we have weaknesses. We have fears. And as Imam Al-Ghazali, may God have mercy on him, explains, the biggest fear is eternal damnation, and nothing can protect us from that but the profession of faith in the unity of God. That is where true security and safety lie. If you believe in God Almighty, truly believe, then He is the source of security. He will give you safety. It is through faith in God Almighty that we are given true security. When we recite the Qur’an, we can see how its teachings and lessons are directly applicable to the world today. We can find comfort in the fact that God Almighty makes after hardship, ease (Qur’an, 65:7); we widen our vision when we understand that we may dislike something that might actually be good for us (Qur’an, 2:216); and we force ourselves to self-reflect when God Almighty tells us that the corruption we see around us may very well be what our own hands have wrought (Qur’an, 30:41). This iman means that we are secure in our hearts. Therefore, when we say we have iman, what we are saying is that we have been granted security and tranquility.